This book focuses on nearly indigenous communities in Taipei City, New Taipei City, Taoyuan County, Hsinchu County and Yilan County. In each township, places to stay, eat and shop are introduced. In addition, cultural and ecological attractions are included. Many of Taiwan’s indigenous communities are located in places of natural beauty, making them excellent cultural tourism and ecotourism destinations. 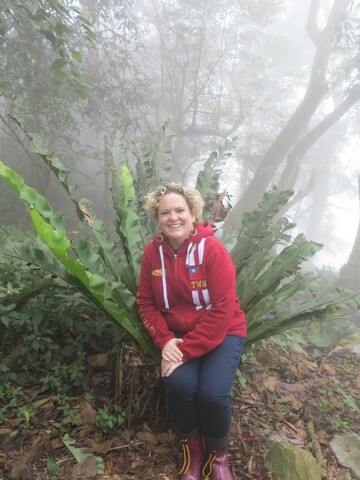 Cheryl has traveled around much of Taiwan and its offshore islands both as a tourist and as an arts, culture and travel writer. Her articles have been featured in a number of publications including Taiwan News, Fountain Magazine, Travel in Taiwan Magazine, Compass Magazine and CNA Newsworld. She is also the co-author of “The Real Taiwan and the Dutch: Traveling Notes from the Netherlands Representative”, which was published in 2010, and the author of “A Foreigner’s Travel Guide to Taiwan’s Indigenous Areas: Central and Southern Taiwan”, which was published in 2012, as well as “A Foreigner’s Travel Guide to Taiwan’s Indigenous Areas: Hualien and Taitung”, which was published in 2014.